With drawerfuls of beauty products—to put that gently—I rarely need to buy much, but when I do need a restock, I often head to BeauTeaBar. Now, I can’t be without my Evolvh Volumizing Spray that smells amazing and totally works, Maya Chia anything—this brand is sublime, and I was going to tick off a few more names before stopping myself from looking utterly ridiculous by adding nearly every brand this shop carries. Yes, I love them all, as my Instagram feed readily proves. If you’re not yet familiar with BeauTeaBar, then I hope this interview with the lovely founder, Marissa Waller, (originally for A Night for Green Beauty) will give you a glimpse into this luxury boutique. If you do know the website, then you’ll understand why I’m a loyal and adoring fan. Marissa and I had a chance to chat about style, her bold career move from lawyer to clean beauty entrepreneur, and stuff she’s loving. BeauTeaBar easily appeals to our finer sensibilities—pairing a cup of freshly brewed organic tea, with, yes, lots of bright pink ribbons wrapped around some of the most glam green beauty products in the industry. Marissa blends health and wellness together with a classy touch seamlessly. There are also perks for sharing BeauTeaBar with friends that earn discounts toward purchases. But she’s got even bigger plans in store for us, making it abundantly clear that this beauty retailer knows how to stay relevant in a rapidly expanding industry. Marissa’s got a brand spanking new website in the works and, if that’s not enough, she just opened a brick and mortar location as recently as May. This idyllic shop is quaintly situated on Main Street in Cold Spring Harbor, NY. If you have been seeking a one stop shop where sought-after labels like May Lindstrom, Strange Invisible Perfumes, La Bella Figura, Mun Skincare, and more share the same space, then this is your destination. If anything, this store confirms that green beauty no longer caters exclusively to the stereotypical “tree hugging” crowd. In fact, within the last 10 years, this once marginal industry has gained a coveted spotlight on many a discerning fashionista’s radar. Large-scale events dedicated to eco-friendly brands like ANFGB, as well as retail stores like BeauTeaBar prove that the wave is no passing trend, but rather reflects the growing public demand for clean options. Marissa has had a chance to observe the shifting attitude through her business. Lucky for me, I got to know Marissa’s generous spirit firsthand, thanks to several green beauty events, and she is every bit as lovely in person as she appears to be. With a sudden surge of green beauty resources, I do find that having a point of connection can be pivotal in establishing customer loyalty and trust. My connection with Marissa was firmly established after I reached out to her for an event last November, when she magically produced 50(!) AILA Cosmetics nail polishes in the latest colors. Each one was tied with her signature pink bow—of course! I’ve been #fangirling ever since, and it has been amazing getting better acquainted with her on other occasions. Trust me, when you meet this lovely lady, you’ll crush hard too. If that doesn’t serve as living inspiration for anyone stuck in a dissatisfying career, I don’t know what does. This is such a brilliant and fun question, and yet I am ashamed to say I am having a hard time finding an answer (I guess I’ve been asked a lot of good questions!). While not a question, I think the one thing I haven’t had the opportunity to discuss in interviews is the downside of the business. I think people see really fun glimpses of the business through social media and whatnot and it’s easy to assume that we (as retailers) have the dream job. While I love what I do, I still live the life of an entrepreneur always trying day in and day out to grow a business in a very competitive market. There are a lot of long hours (especially now that I have the store) and the ups and downs can really take their toll on you if you don’t have a good outlet for stress. Having said that, I truly wouldn’t trade it for anything in the world. I think beauty can be experienced in many ways, some on the surface and some quite deeply. The purpose of my business is to help women find new or deeper ways to experience beauty, whether it is helping them find better and healthier products, or encouraging them to take time to relax over a cup of tea. It’s all beauty! What makes Marissa even more relatable is that even though she’s clearly a beauty in her own right, she still feels like “the uncool kid trying to fit in and figuring out what to wear.” With style icons like Natalie Portman and Charlize Theron, I’d say she’s well on her way to “getting” it. Plus she’s already quite the snazzy dresser—believe me. This #GirlBoss certainly knows how to curate sensational beauty brands and display them with a finesse all her own—I mean, who doesn’t dig a well-placed unicorn these days? At BeauTeaBar’s Grand Opening celebration on June 11, 2015, I loved immersing in the pristine, back-lit white walls and 200-year-old brick wonderland that perfectly showcased the eco-meets-luxe vibe. With flourishes of her personal touch everywhere and future events already in the making, this haven is well underway to becoming a local hot-spot. But don’t ask her to choose a favorite beauty product. Marissa loves them all. So are you ready for more shelfies? Several favorite brands are shown here: Cocovit, the only coconut oil that touches my face. Here’s why. Zoe Organics offers pure products for the entire family. The Refresh Oil is one of my personal faves that perks me up mid-day when my energy starts to fade fast. I fully agree! What have you tried from this gorgeous shop? Let me know in the comments! 92 Responses to "BeauTeaBar can convert anyone to healthy beauty"
What an amazing giveaway – thank you Sarita!! It is shocking to me how little people know about the harmful chemicals they put on their skin every single day. Supporting events like ANFGB and stores like BeauTeaBar helps to spread awareness of good, clean and effective alternatives and makes these alternatives more easily accessible. The more people we reach the better for all! What an amazing Giveaway! Great post Sarita! I can’t thank green beauty enough. It has truly changed my life (health)! When Beau•Tea•Bar released the VIP memberships- I signed up for 3 platinum. Marissa has been very helpful with recommendations. Excellent post Sarita! From following BeauTeaBar on IG, Marissa seems like such a sweetheart and so down to earth. Not to mention, she is so in touch with customers and providing them the highest level of customer service. I completely agree with her comment regarding more and more young women being engaged in this movement and I can relate because I too am the one to tell my mom about the number of harmful chemicals in several products and have slowly swapped her products for much more healthy (not to mention glam) alternatives! The store looks fabulous and I hope to some day be able to visit! 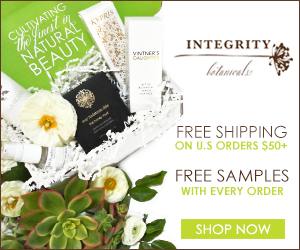 That will be another website for me to browse and make a huge wish list for then 🙂 I’m very intrigued by the Vintners Daughter serum and Mun products – both have been on my radar for a while now but so far I have resisted.. just. This is so exciting!! From the start Beauteabar was one of my favorite sites. From the wide array of wonderful brands to the personalized product selection assistance and generous samples why would you need to shop anywhere else? I can’t wait to visit the brick and mortar next time I’m in NY! For years I suffered with terrible eczema on my face that no amount of concealer or foundation could hide. Even on high dose carcinogenic creams I didn’t want to leave the house. Beginning to discover green beauty blogs like yours encouraged me to try some amazing green beauty brands that finally led to better results than I ever experienced from prescription creams or drug store treatments. I feel that this community not only encouraged me to understand the purpose and power of every ingredient in my skincare, but also to be healthier in other aspects of my life. I have seen a dramatic difference in my skin since switching over to green beauty. My skin is happier and healthier. I enjoy supporting shops like Beauteabar because they really do care about the customer and carry some really amazing products. Wowza , I love waking to a an amazing green beauty giveaway. Thank you Sarita and Marissa! God has supplied an amazing planet filled with beauty. For me green beauty is about using and appreciating the ingredients that have been so graciously supplied through nature. Sustainable and heathier for our bodies and souls, green beauty is a wonderful way to teach the amazing healing power of nature while rejecting negativity and toxic chemicals. Stores like BEAUTEABAR and events such as ANFGB brings needed interest and publicity to how cool plant power is. The future is going to be amazing! What a lovely giveaway! 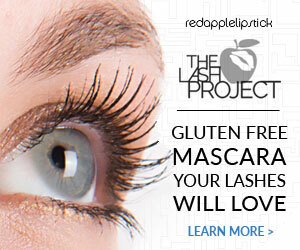 I think it is wonderful that green beauty is continuing to branch out and grow its outreach. Hopefully this’ll mean that consumers will come to be more aware of the ingredients in their products with more exposure towards green beauty. I remember way back in 2013 when Marissa first opened her shop– she’s definitely come a long way! This looks like an amazing store. I wish I was local and could visit. I find green beauty is much more effective, as well as being safer. There’s also that feel-good factor. Green beauty is the new luxury. This looks like an amazing store! I wish I was local and could visit. I find green beauty is more effective as well as being safer. There’s also that feel-good factor. 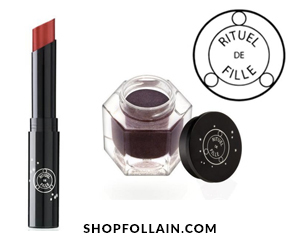 Green beauty is the new luxury! What a wonderful giveaway opportunity Sarita! I loved this post for so many reasons. I recognize some of my fave green beauties featured and I got an inside peek at the gorgeous new BeauteBar! Plus that unicorn! So, I’ve been a fan of green / natch beauty products since first learning about the nourishing and therapeutic benefits of unique nature-derived ingredients… like, I once had a love affair with some dead sea mud that I don’t regret. But my tastes have evolved since then and I also have a thing for indie brands who know how to do it right. That’s what’s so exciting about BeauteBar! Looks like Marissa has carefully curated her gorgeous storefront. (We need some of her good taste in Cleveland.) Ahhh, the future of green beauty is so exciting isn’t it? Life IS good. Best wishes and congrats to BeauteBar!!!! I think the green movement is so important not only to spread the word but I’m also hoping big stores like Sephora, Target, Nordstrom, etc will carry more natural brands so they’re accessible to a larger audience. Green beauty movement is so important for people to know they have alternatives to the chemicals! What another gorgeous review. I was thrilled to see all the beautiful brands here – and that Vintner’s Daughter sold out! I look forward to visiting them next time I’m in NY. Hero On! What a great giveaway. Really enjoyed reading Marissa’s responses to your questions. As someone with six furry babies (5 cats and a dog! ), I think the most important thing about green beauty for me, is being able to find products that have not been tested on animals. 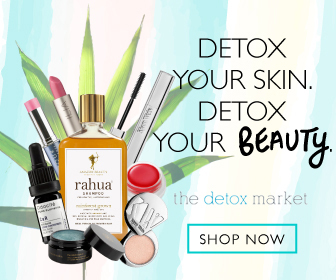 Companies like BeauTeaBar allow me to shop with a clear conscience and funnily enough, in switching over from mainstream brands, I’ve often found their green counterparts to be much more effective. I turned to green beauty in an attempt to improve my overall health while living with an autoimmune disease. My health has improved significantly and I’m rarely “sick” any more. But I can never go back to conventional products now that I’ve learned about the harmful effects those ingredients can have. I’m living in Central Asia right now and there’s nothing (that I’ve seen so far) that is clean enough for my liking, so I’m constantly having to order everything from abroad and wait ages for it all to arrive! It’s important to support events like ANFGB so that entrepreneurs can have a chance to shine in a market that’s overrun by large companies. 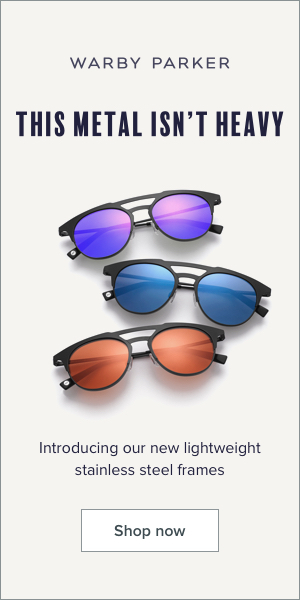 ANFGB raises awareness about the products we use every day and helps us be better consumers. Thank you for this opportunity! Events like ANFGB are so important because it allows entrepreneurs have a chance at a market that is overrun by large companies. It also allows consumers more of a choice in the products they use every day. Thank you for this opportunity! Another fabulous giveaway, thank you Sarita and Marissa for this 🙂 Wow, why is green beauty important to me? I could go on all night but for me a lot of it’s about the connections I have made with brand creators and fellow bloggers. There’s such an incredible warmth, authenticity and kindness that I’ve been so lucky to be a part of…and I love when women empower each other. Being able to support people like Marissa who have a dream to help contribute to a cleaner, greener and more knowledgeable world is what we all should be doing. The foundation that is being laid down now will be exceptional for our future children and how awesome that we get to be a part of it, as it’s happening. Green beauty is about the men and women who want to change the world and make it a beautiful sustainable place for generations to come. what a fabulous giveaway! thank you! i think it’s important to support small local businesses like beau tea bar who in themselves support smaller boutique beauty brands which i find to be better quality, more effective safer, greener and all around luscious to use! What a lovely store. Green beauty is a great way to stay away from harmful chemical and also because they are better for the environment. What a lovely store. To me green beauty is all about staying away from harmful chemicals, it empowers women and gives back to local communities. I wish I could visit the store in person! Thanks for the generous giveaway! Green beauty is so important! we need to be aware of what we are putting in and on our bodies to live our healthiest life. I think events like ANFGB are a wonderful way to spread information to more consumers about green beauty and that there are amazing alternatives to the chemically-laden products. Green beauty is important to me for many reasons. I don’t want to put chemicals on myself and I don’t want to wash chemicals down the drain that affect the environment. If there’s healthy alternatives than why not use them? Wow, what an awesome giveaway. Green beauty is important to me because beauty should not be toxic. Beauty should encompass all levels of existence, including health, outer beauty and contributing to a more beautiful world. Events like ANFGB bring people with common goals together to share their love of beauty at all levels. What a wonderful getaway. So happy to be introduced to BeauTeaBar. 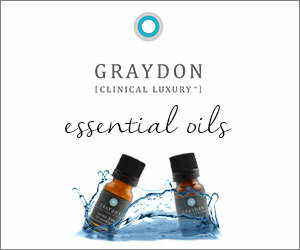 I will have to look at their website to see all that they carry as it may be my new place to by my natural skincare. Oh, this is such a fabulous opportunity! I have really enjoyed how much I have learned about my own skin and about natural ingredient, such as their specific properties. It’s wonderful to me that green beauty means connecting more deeply and being more conscious of what goes into the products we use on ourselves. 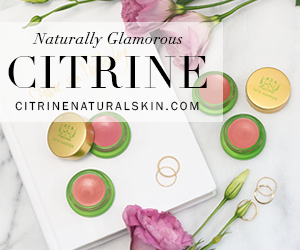 I am a green beauty newbie (past year I’d say) & have fallen in love. So much so, that I too, have *serious* thoughts about starting some kind of business in green beauty and holistic health. I’m a registered nurse now & through this have also realized I’m more passionate about promoting health & preventing illness versus fixing it. Green beauty, IMO, promotes not only “beauty” but overall health. Taking charge of your beauty products can open up a person to taking charge of their foods, their home environment, their physical fitness, etc! Go green beauty! Green beauty means happy skin for me. Simple as that. Green beauty means happy skin for me. Simple as that! 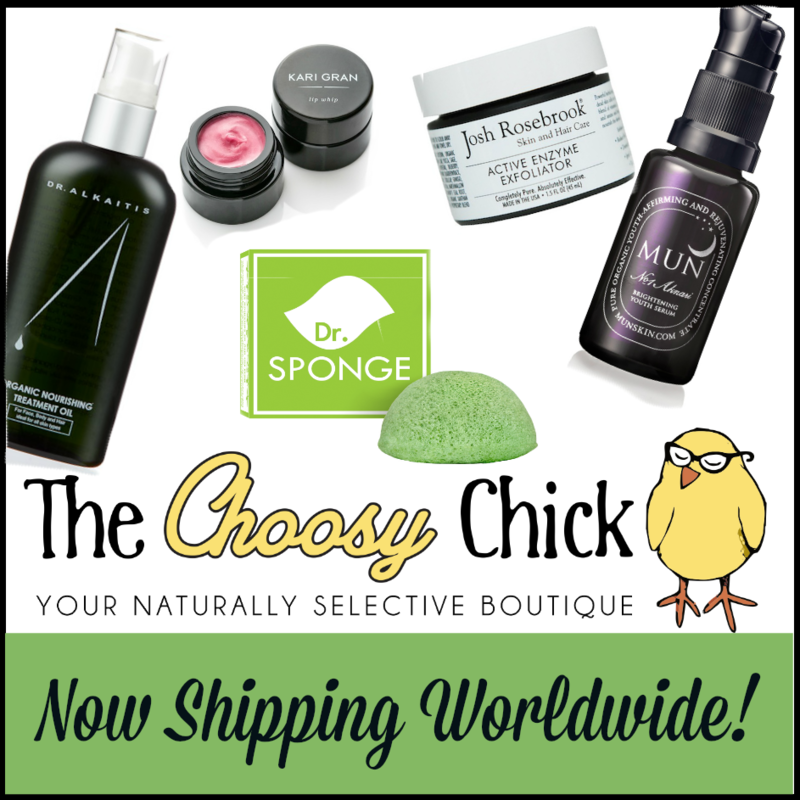 I love green beauty! Marissa has a great store and Beauteabar has wonderful customer service. I don’t know if my first comment went through, but I love Marissa. Her customer service is awesome and she answers emails right away. I love green beauty, too. It’s very important to use healthy products on your body! Green beauty is important to me because I feel regular beauty products may adversely affect my health. I really want to try so many of the items! Plus I love that brass unicorn on the shelf! This is an incredible giveaway. Thank you so much. Last year I went to ANFGB and it was such a wonderful event. This is such an amazing giveaway opportunity. Green beauty is definitely important to me because not only do I care about what I put in my body but also what I put on my body because our skin absorbs so much of what we put on it. I’m super pleased with the awareness that continues to grow in green beauty and thankful to all these amazing companies for supporting the cause. This giveaway is so generous as there are numerous products I would love to try…VINTNER’s DAUGHTER being at the top. Green beauty is so important to me because what goes on my body is just as important as what goes in my body. My skin is so thankful I’ve discovered green beauty, and Sarita’s blog/instagram has led me to some beautiful products! I enjoyed your Q&A. Yes to green beauty. First off, what an incredible giveaway. Thanks Marissa and Sarita! Green beauty is important to me because I believe that many of the dangerous/no-yet-studied-sufficiently/toxic chemicals in mainstream beauty and skincare can contribute to autoimmune disorders and other syndromes (including the one I have). Green beauty proves that we do not need these substances to make products that work. I’ve actually found that my green products work even better than the mainstream ones! It’s time that we stop abusing our bodies unnecessarily; whether that be what we put on or inside our bodies. Its important to me to support events like ANFGB and stores like Beautea Bar because they are the ones paving the way to make green beauty mainstream, thus looking out for the health of generations to come. What an amazing giveaway! I am so happy that you are ANFGB ambassador. Green beauty is important to me because it reduces our toxic burden. With tens of thousands of chemicals in conventional beauty products it is no wonder cancer, inflammatory diseases, and other chronic illnesses are through the roof. Green beauty is not only a great way go get glowing skin but to stay healthy internally as well. Green beauty is important for health AND aesthetic reasons. Natural formulas are often more gentle on my sensitive skin, and who doesn’t want to splash flowers on their face?! 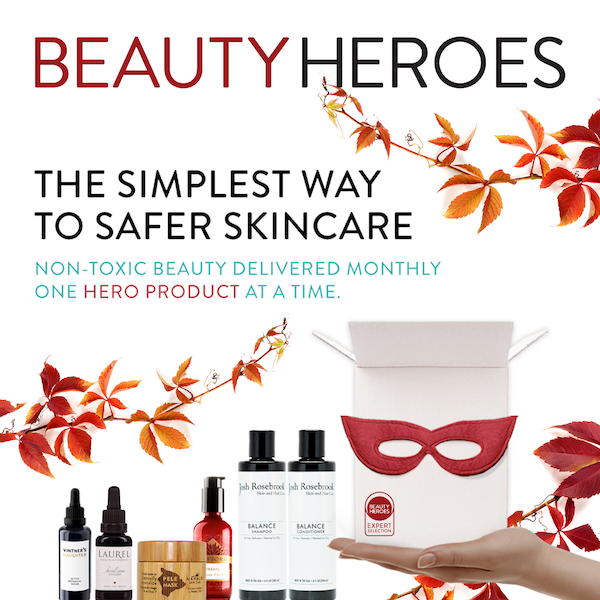 I love how ANFGB helps spread the word of the effectiveness and safety of green beauty! Woah what an awesome giveaway! Green beauty has been important to me for over 7 years now – first due to skin allergies and excema, now more just as part of my self consciousness of being aware of what goes into my body and what the effects of what I do and consume have on the environment! I think its important to support shops like beautea bar, and Angfb not only because they are organic, but because they can be trusted. To support smaller business that is obviously growing is important for the community and economy. It is also important for networking. Supporting stores like BeauTeaBar is important because it shows companies and consumers that there is a need and demand for high quality natural and nontoxic products! Organizations like ANFGB and stores like Beauteabar don’t just sell non toxic products they actually promote a lifestyle and a quality a life you can’t buy. Many of the mainstream stores that once sold our beloved “dirties” obsessed over perfection and concealing. The non toxic beauty world embraces all. I mean come on even the bloggers are nicer! Transparency is a core value in the “non toxic” beauty market. It’s not just the companies being transparents it’s the users. “Green” beauty bloggers are honest and aren’t trying to create a image , shade or even a skin type that doesn’t exist. The truth is beauty products are investments, because it’s what we are exposing ourselves to every day and it’s an important choice that women all over the world make every day. The modern beauty conversation has brought up terms like “parabens”, “synthetic fragrance” and even “phthalates”. I’m not your average beauty blogger nor do I have formal background in public relations or marketing but sustained Eco beauty is my passion. I truley applaud ANFGB and beauteabar (Marissa) for redefining what beauty should looks and feel like. Thanks for the giveaway! Green beauty is a piece (an important one) in the larger picture of prioritizing my health. Why expose oneself to questionable and potentially dangerous substances when one doesn’t have to anymore? I want to support the movement of the cosmetic industry in the shift towards being increasingly safer for the planet and consumers. The existence of stores like Beauteabar not only serve to make this ideal a reality but also makes high quality, safe cosmetics and beauty products readily available to all. Thank You for the Giveaway.Green Beauty is really important to me as I follow Green Living and my skin has never looked better. Everything looks so beautiful! I can’t wait to sample! Green beauty is important to me, because everything we put on our skin gets absorbed so I want to make sure I’m not putting nasty chemicals in my body. 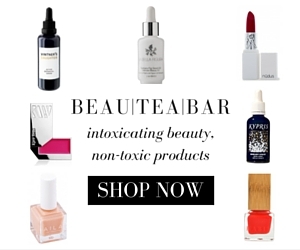 We need online sites like BeauTeaBar so everyone has access to the best possible green products out there! Thanks for the giveaway! Green beauty is important to me as a mom- the stuff I put on my body and face comes in contact with my kids, especially my son who I’m breastfeeding. I think it’s important to set a good example, too. I want my kids to see the value in being healthier and kinder. Awesome giveaway! 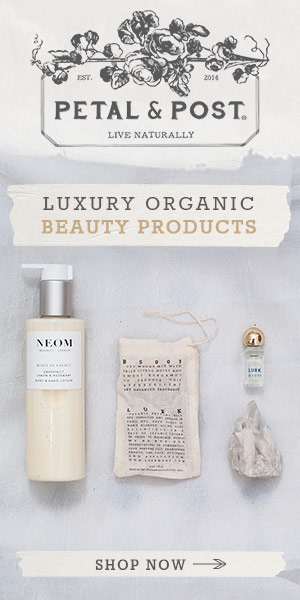 I love that green beauty products are becoming more readily available to consumers! I’ve seen such a positive change in my skin since making the switch to green beauty, and love having easy access to new brands/products both in both stores and online! I’ve only very recently started to get into skincare, and even more recently still, organic and natural skincare. As a beginner, I still make mistakes with ingredients and establishing the difference between organic and natural products but since the swtich, it’s worked wonders for my skin. I wish I’d started sooner. I generally find that natural brands are often far more concerned about animal testing and eco-friendly packaging. Thanks for the giveaway, it’s a great way to discover more products for my arsenal! Awesome giveaway! Green beauty is important to me because it has changed my skin. I think it’s so important to be aware of what we put on our skin and into our bodies. 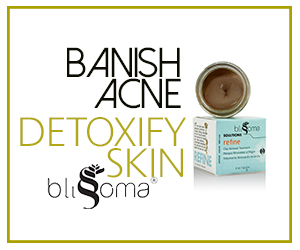 Changing our skincare to organic products is such an easy thing to do too. Incredible giveaway! I love beauteabar and have been so impressed with all of my orders that I have received. 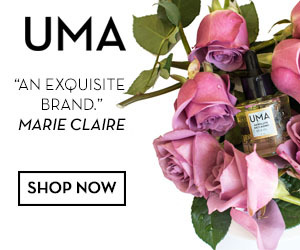 Marissa has a beautiful, perfectly curated selection of brands and products. I hope to someday visit the new brick and mortar store! Simply put, green beauty/self-care is better for our health and for the environment! This store represents two of my absolute favorite things in life: skin care and tea!!!! Seriously, My boyfriend is always getting on to me for either having too many skin care products or too much tea! Pne can never have enough of either! Green beauty first became important to me when I was pregnant. Great giveaway! Marissa is the sweetest! Her story is inspirational and the new Beauteabar store looks gorgeous! Green beauty is important to me because I think the whole community and industry further encourages empowerment, confidence, and self-love among all women. It’s so important to support great shops like Beauteabar because they are helping to make green beauty more mainstream and really put our mission out in the spotlight. wonderful! the shop looks lovely!! green beauty is so important to me because it’s paved a healthier way to enjoy makeup and skincare without sacrificing my health or the well being of anyone else. I don’t want to worry about my health or the health of those I love just because we use makeup or face cream. It shouldn’t even be a question; health in products like these should be a given and green beauty is helping make it happen. Also, often times, green beauty brands support the environment, local economy, and help to fund important global initiatives for humanity and our planet which is something I am very passionate about. Just the other day, I spotted some green beauty options in a mainstream store and it felt like such a victory! Green Beauty is so important to me for their pure and concentrated formulations. For years, I have tried many products and little did I know that those very products were the very cause of aggravating my skin due to the chemicals and silicones. Now, I happily spend my money on clean products that work! With the growing number of choices, there is something out there for everyone. ANFGB and stores like BeauTeaBar are important to create a platform to spread awareness of the current beauty trends, green beauty breakthroughs, and allowing products from trusted green companies accessible for us (to prevent greenwashing). I recently made the switch to green beauty products due to having sensitive skin. Thankfully, there’s so much solid info out there now (largely due to some really great green beauty blogs), that one can make informed decisions, rather than just following what’s trendy. And the recent focus on luxe green beauty has allowed all these lovely little boutiques to open, providing the opportunity to actually test out the product before purchasing, which I think is key. Thanks for this great giveaway opportunity. I already use many of these brands, but would be super excited to be able to try La Bella Figura (which has been on my wish list for a while now), as well as SW Basics (as it’s a Bklyn company and that’s where I live). Also, intrigued by the Zodiac perfumes…Gemini, please! And it would be great to have a ANFGB here in NYC at some point — there is certainly the demand for it! Such a beautiful post! I love learning more about the people who are behind the scenes! To answer the question for the giveaway (omg!!) green beauty is important to me mainly because I know it’s kind to the environment and MOST importantly animals!! I ended up getting into green beauty as before that I only used cruelty free products, but laws and many grey areas really confused me which lead me towards smaller, more natural brands that I know for SURE dont test on animals and are actively against it. There just isn’t any need, I wish I could save all the animals. Green beauty is important to me because it’s luxurious and makes me feel awesome. And I love sharing my insight with friends and family. I think it is important to support small companies who advocate for sustainable ingredients and safe ingredients for the body! I think it’s important to show the big companies that there are people who care and rather support smaller sustainable cruelty-free companies. In the end it’s to make this world a better place. Green beauty has become an insatiable passion for me because I believe health is everything, even that of our skin. I also believe in companies who possess the same values and passion that I do. Green beauty is important because makeup and skincare is something that we use in a daily basis. I’ve only just began getting into the green beauty world and the information out there is overwhelming. I think it’s important that we become educated as soon as we want to start wearing makeup so we can know what where putting on our faces. Green beauty is so important to me. I used to work in a makeup store and thought that green beauty could never compete but now that makes me laugh. I was dealing with breakouts (due to a medication) and nothing was helping. Then I picked up some green beauty products on a friend’s suggestion, and was blown away. Not only were these products better for the environment, but the list of ingredients wasn’t terrifying. I love that all of my green beauty products are safe for anyone in my family. I use coconut oil on one of my dogs (his nose gets dry). I love that if he licks it (ok not if, but when) it is safe. I don’t have to look to see what else is in it because that product is a one ingredient wonder – plus I can use it on myself and for cooking. Going for organic products makes me feel better about what I have my family use. Green beauty is important to me for knowing what goes on my skin will not be harmful and helps me look and feel great. It’s so important to support events like ANFGB and shops like BeauteaBar because there’s a lack of legislation/oversight in the beauty and cosmetic industry–supporting places like this not only empower the green beauty market towards growth and innovation, but also empowers consumers like us who want to know that we’re using products that are good to the earth and good to our bodies. Plus, growing small green beauty companies provides competition for non beauty brands, which I hope will eventually result in greater transparency and oversight in this industry. Thanks for the giveaway! Green beauty is important to me because of the improvements I’ve noticed in my health and the way my skin and hair look since I’ve switched to natural products: I hardly ever get headaches any more (apparently synthetic fragrances are a big trigger for me), my hair is much more manageable, and while my skin still likes to break out at the most inopportune moments, it just looks and feels better. Plus I love knowing what’s in the products I’m using, and feeling like someone took time and care making them – buying a tube of Neutrogena doesn’t give you that same “special” feeling! Green beauty is so important, not only to me and what I put in my body but the environment. I still am amazed at the chemicals and “beads” still in a lot of products!! Oops! Totally missed that there was a specific question listed. I think it is so important to support events like ANFGB and stores like BeauTeaBar. They do such a fantastic job of promoting incredible green brands and products, but more importantly, they help raise awareness of why it is so important to go green. I believe that what you put on your body is just as important as what you put in it. I absolutely love that events like ANFGB and stores like BeauTeaBar are so dedicated to promoting the importance of the green beauty movement. Thanks for an amazing giveaway!! I love green beauty because it’s just not for the face , it’s beyond that . It makes you feel well and not only uplifts you but also helps the environment. That’s why events like #ANFGB and online sites like beauteabar are important to promote green beauty products and bring awareness. Green beauty is important to me because I can’t stand the thought of putting toxic ingredients on my skin daily! I don’t think most people realize what ingredients in their personal care products.